The current homeschooling conference in northern Denver includes some popular speakers. What some of these speakers believe is not widely known in some circles. So, one speaker’s views, Mr. Phillips, was summarized in a previous article. Naturally, such a short profile garnered many questions. This article aims at answering those questions. In the first place, there are many things Mr. Phillips and I agree upon. The basics of Christian orthodoxy is certainly one of them. We are both Calvinists as well. And his concern about the demise of the Christian family in America is a concern of mine too. His conservative belief of male headship is shared by me as well. And we both believe that parents have the primary responsibility to raise their children in the fear of the Lord. 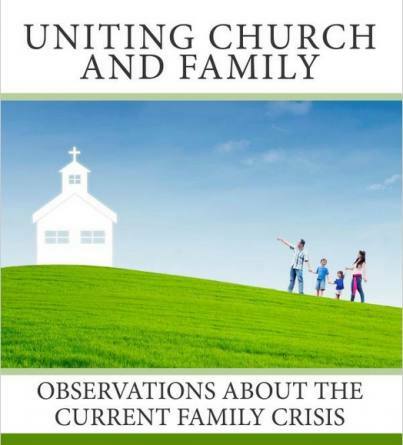 Second, concerning the proper relationship between church and family, there are significant overlaps. I eschew children’s worship services. I disavow “youth pastors”. And I certainly reject en toto the entire youth-culture mindset imbibed by too many churches and families. It is certainly true that age-segregated programs (and special-interest programs in general) have been abused by churches and become crutches for too many families. Too many churches readily regulate the family into niche-market “ministries,” keeping the families busy while teaching them little of God’s Word. And too many families like it that way: there is less responsibility for them and they feel godly. Third, my hope is that the differences between us can be minimized. I believe the best way to accomplish that is to avoid blanket declarations and clearly articulate what is believed. For instance, Mr. Phillips noted (almost in passing) in his talk on the history of Sunday schools that “there is a place to relate to a 13 year old within a context of his age…but [don’t] dumb down our teaching [to them]…[today] we are training them to be youth and not adults” (track 4). Such beliefs should be more public. The National Center for Family Integrated Churches (NCFIC) online confession, for example, should state this belief (as Mr. Brown’s own book does). But if this concession is lost in a sea of rhetoric then confusion arises and people believe any and all age-segregation is wrong. Fifth, the claim that age-segregation practices have evolutionary and secular roots has not been proven. The closest to arguing this point with some substance has been Mr. Phillips lecture (noted above) and Mr. Brown’s latest book. Logically, if this is granted then the allowance for the use of age-segregation (see above) is itself a compromise with evolutionary thought. Now, the NCFIC confession uses the word “comprehensive age-segregation.” This adjective is not flushed out elsewhere that I can find. Perhaps it simply means that any approach to education that only or primarily uses age-segregation as a tool of instruction is wrong. Or that less-than-comprehensive age-segregation is, therefore, allowable (whatever that may look like). As it stands it is unclear. Sixth, the historical claims against age-segregation (and family segregation, physically separating the children from the parents for instructional purposes) do not stand up to the facts. The Academies of the Reformation (Geneva, Strasbourg, etc.) used seven to ten grade levels, one year each with a final exam. The students started as young as age six. Even Mr. Phillips lauds the wonderful spirituality of Calvin’s Geneva. (For more historical evidence about segregation and homeschooling practices, see my article here). Seventh, when the NCFIC confession and various arguments are analyzed carefully, it seems that age-segregation (and maybe any educational method?) must be prescribed (commanded) by the Word of God. It appears that they assume there must be a positive warrant for age-segregation in the Bible. I assert that Christian liberty (à la Romans 14) allows this activity unless proscribed (forbidden) by the Word (or unless abused, 1 Cor. 6:12). If all educational methods must have Biblical warrant then consider this: note-taking, picture-books and catechisms cannot be found in the Bible (by command or example); therefore, note-taking, picture-books and catechisms are forbidden. But note-taking and the like are allowed by Christian liberty; therefore, the original premise is false. No one yet has offered a clearly detailed argument from the Bible that age-segregation (or anything similar) must have a positive warrant. No verse says, “X [outside of public worship] must be commanded else it is forbidden.” The entire debate hinges on this simple point. At the end of the day, the need to heal Christian families from fragmentation cannot be denied. I believe Mr. Phillips and others are helping families and churches take a long hard look at their practices. And the various churches in Colorado who signed the NCFIC confession are a witness of that. But I believe there is a deeper problem than abuses of educational tools: there is little to no Gospel in the families and churches. The Barna and Pew numbers show over and over again that families have little knowledge of the Christian worldview, especially sufficient knowledge of the Gospel. A clarion call of the Gospel is needed among homeschoolers just as much as among Evangelicals in general. ← Who is Doug Phillips the homeschool speaker?